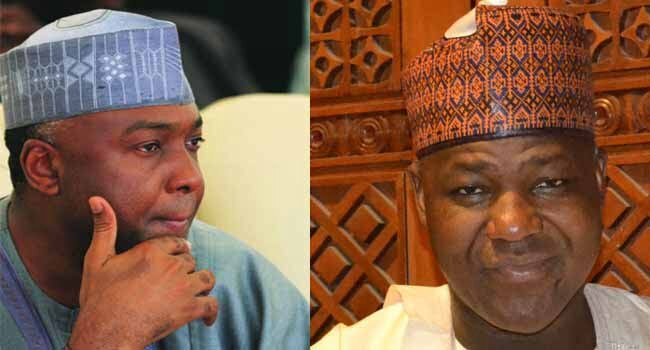 Yakubu Dogara, has revealed how Senate President Bukola Saraki helped him to become Speaker of the House of Representatives back in June, 2015. Emerging against the wish of their party, the All Progressives Congress, both Saraki and Dogara defeated party’s choices, Ahmad Lawan and Femi Gbajabiamila, respectively in keenly contested elections. Speaking on how he emerged speaker during a book launch to mark his 50th birthday in Abuja, Dogara said Saraki spent his money and provided ideas to see him emerge against all odds. He said, “The story of my emergence as speaker is a story of national consensus. It’s a meeting of people across board. “My brothers and sisters sat in the National Assembly and said ‘look, we’ll make you speaker’. “I know I’ve not said this before, but the Senate president played a key role. Whenever we ran into trouble during the campaigns, we would go to him. “He contributed a lot of ideas and even money, although I’m not going to mention how much.